A meeting took place last week in Kinshasa, the capital city of the Democratic Republic of the Congo between United Nations peacekeeping representatives and DRC officials to resolve earlier differences between MONUSCO and the Congolese army (FARDC). 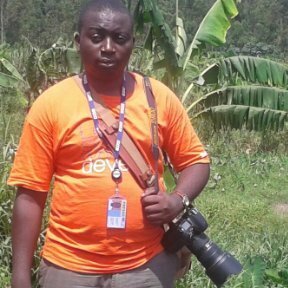 MONUSCO recently suspended its support of Congolese military operations against Rwandan FDLR rebel forces following the appointment by the DRC army of two generals suspected of numerous past human rights violations. The meeting is a continuation from previous talks that commenced several weeks ago, both parties eager for the situation to be resolved. Including those present at the meeting were UN Special Representatives Martin Kobler and David Gressly, Democratic Republic of the Congo President Joseph Kabila, DRC Prime Minister Augustin Matata Ponyo and United Nations Under Secretary General for Peacekeeping Operations, Hervé Ladsous. 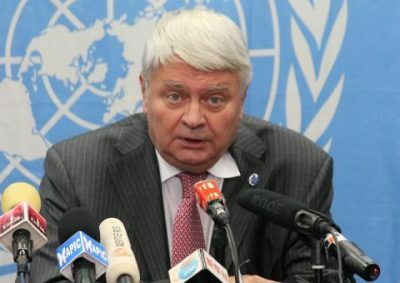 Following the meeting between the aforementioned leaders, Hervé Ladsous said that a dialogue between the Congolese government and the UN is intended to assess the security situation in the country, in addition to the prospects of reducing the UN’s military presence in the DRC through MONUSCO. “It’s a work in progress and will continue,” he said, before forming the hope that it strengthened trust between the United Nations and the Democratic Republic of the Congo. “There was a series of aspects particularly with respect to security in the East; all this making it obvious (the need for) security. This is a necessary condition for development ” he added. With regard to discussions with the Prime Minister Matata Ponyo, Hervé Ladsous confirmed that they talked about all of the efforts that will make double-digit growth soon, with the wish that this also applies to many other countries in the world. According to Ladsous, all this shows how everything is connected. “The United Nations in the DRC has an approach that takes into account the security, political, social and economic factors,” insisted the top executive of the United Nations.